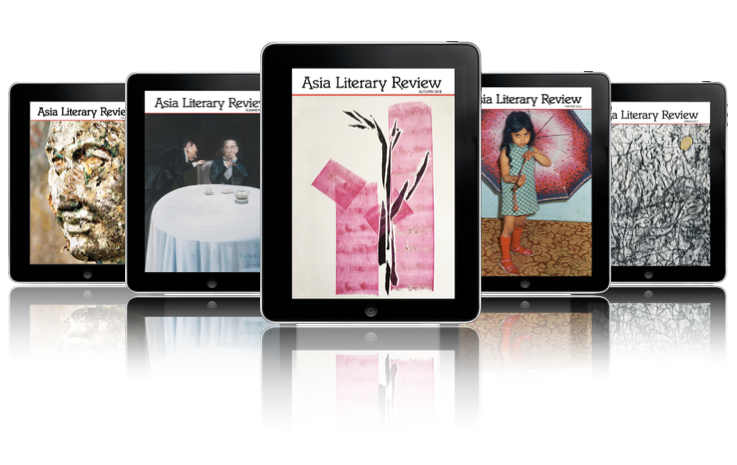 The Asia Literary Review is an independent quarterly literary magazine publishing the best contemporary writing from and about Asia, in English and in translation. Names and details here. Our aim is to draw attention to established and emerging writers, to give voice to talent and topics that aren't often heard or easily found, and to provide stimulating, thought-provoking, inspiring and entertaining reading material through our website and magazines. Blogs, Web Exclusives, News and Events are all free and will be updated regularly. Registration and access to the website are free. You'll need to register to get full access to News and Events, Web Exclusives, Blogs, Comments and sample articles from the quarterly issues and the archive. There's a LOT of free stuff! Click here to get regular updates and news. We won't send you spam or pass your details on to anyone else. You'll need to use a valid email address and give your real name, but you can choose an anonymous username if you want to. Comments, of course, are subject to the usual sensible rules, but we do not censor criticism! We're setting up a community of bloggers to spark conversations all across Asia and beyond, and through registration our readers can comment on articles and blogs to share their experiences, convey their insights and exoress their opinions. As well as all this, we hope to build a rich and open bank of narrative: stories from life and the imagination, from Istanbul to North Japan, in English and in translation. At the Asia Literary Review, we welcome comments from our readers. Each blog post has its own comment section and you can comment on Web Exclusives too. Click here or at the bottom of the Web Exclusives drop-down list in the red menu bar across the top of the page. Please select Submissions under the About tab above, or click here. Visit our eShop to to subscribe to the eBook and print editions or to buy books individually - as eBooks and in print. For books by authors featured in the ALR, click here. We are associated with Asia Literary Publishing which has been set up to publish writing from and about Asia that might not otherwise reach the wide audience it deserves.